White Stained Glass Afghan, that what I called this afghan because of the stained glass effect with the mixing of variegated color yarn and a solid color yarn. But it's not your typical stained glass-look afghan, this time instead of using black for primary color, I used white yarn. 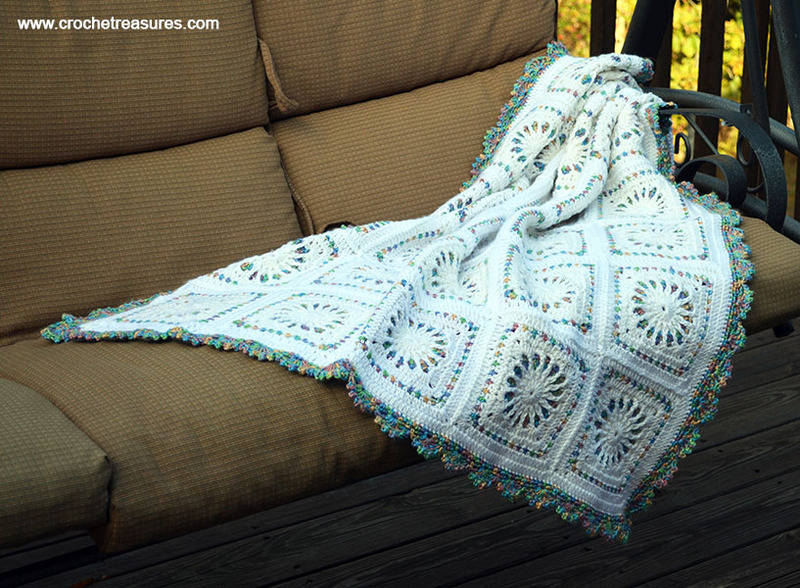 For this afghan I used Caron Simply Soft yarn in colors white and tapestry. 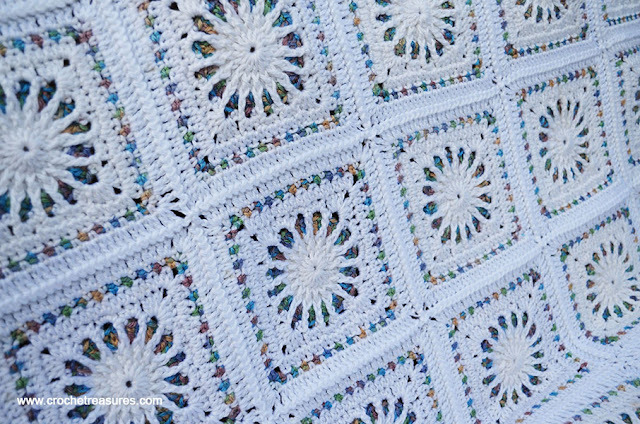 This pattern is designed by Teresa Richardson of Crochet Geek. You can find the written pattern HERE and if you are beginner, Teresa provide a video tutorial HERE. My squares came out smaller than 6 inches so I decided to add few more rows. 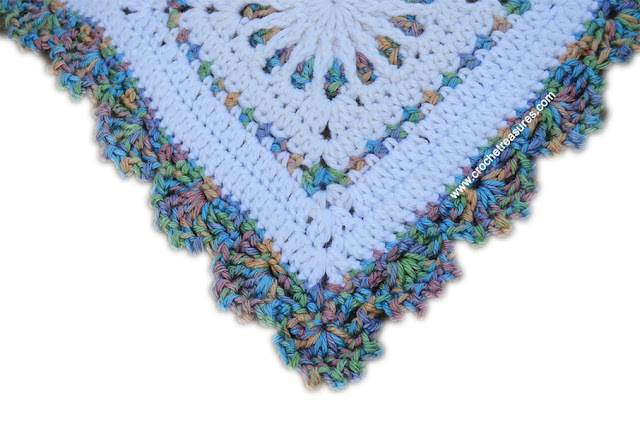 I used the variegated yarn and added a two rows of Linen Stitch. I joined the squares together using JAYG (Join As You Go) method. After sewing all the squares I added another round of DC (Double Crochet) around the blanket then added the final border with the variegated yarn. For the border I used the pattern HERE.